The Iranian regime has reacted angrily to threats by the Obama administration last week to impose new sanctions targeting individuals and companies connected to its ballistic missile program. The US is accusing Iran of carrying out two ballistic missile tests—in October and November—in breach of a UN Security Council resolution banning Iran’s development of such weapons systems. 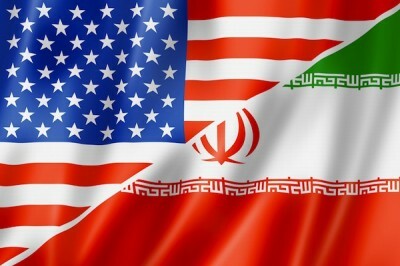 Washington’s threat is particularly provocative as it came just days after Tehran fulfilled a key aspect of the nuclear agreement reached last July between Iran and the P5+1 group that includes the US, Britain, France, China, Russia and Germany. A Russian ship left Iran last Monday carrying virtually all country’s stockpile of low-enriched uranium and thus greatly lengthening the time that would be needed to manufacture enough highly enriched uranium to build a nuclear weapon. Tehran has repeatedly denied that it has any plans to build a nuclear weapon. In return for the shipment, Iran will receive an equivalent amount of natural uranium from Kazakhstan that has not been enriched. However, Iran’s main payoff for giving up its enriched uranium is meant be the first steps to lifting the punitive sanctions that have crippled the country’s economy, possibly this month. These would include the release of about $100 billion in frozen assets, limitations on the sale of Iranian oil and allowing Iran to operate freely in the world financial system. Last Wednesday, the Obama administration circulated a draft of proposed new sanctions targeting companies and individuals in Iran as well as Hong Kong and the United Arab Emirates. The sanctions would ban US or foreign nationals from conducting business with the blacklisted firms and American banks would be compelled to freeze the assets of the companies and individuals. Rouhani won the Iranian presidency in 2013 and was given the green light by the country’s Supreme Leader Ayatollah Ali Khamenei to negotiate an end to the devastating sanctions regime. The agreement reached last year after months of talks and relentless pressure on Tehran, above all with Washington, involved a major winding back of Iran’s nuclear programs, including its uranium stockpiles and its capacity to enrich uranium, and the reconfiguration of the heavy water research reactor being built at Arak. Rouhani is now coming under pressure from hard-line sections of the regime, particularly in the military, that have heavily criticised him for conceding too much in reaching the nuclear deal. While he is not facing an election in the near future, Rouhani is concerned that his allies will lose ground in two crucial elections next month—for the parliament and for the smaller Council of Experts that selects the country’s supreme leader. Tehran had already expressed its opposition to a new US “anti-terror” law prohibiting citizens from 38 countries, mainly European, from travelling to the United States if they have visited Iran, Iraq, Syria or Sudan in the previous five years. A senior parliamentary official Alaedin Boroujerdi wrote to European, Chinese and Russian counterparts criticising the legislation which he described as a “destructive blow” against the nuclear agreement. The Obama administration’s determination to maintain pressure on Tehran underscores the fact that the nuclear issue has always been a pretext for advancing the economic and strategic agenda of US imperialism in the Middle East. The threat of new sanctions, and to potentially drag out the lifting of existing measures, is aimed at extracting concessions from the Iranian regime on other issues. The US, for instance, would like to weaken Iranian support for the Syrian regime of President Bashar al-Assad, which Tehran has backed politically and militarily. A UN Security Council resolution passed last month sets the stage for a ceasefire and negotiations between the Syrian government and opposition to establish a transitional government. Washington is adamant that Assad must go but is opposed by Russia, and at this stage, Iran. Moreover, if the nuclear agreement enables the lifting of sanctions, possibly within weeks, the major beneficiaries are likely to be Washington’s rivals in Europe and Asia. Since the accord was reached last July, a stream of diplomats and corporations has headed to Tehran to sound out opportunities in preparation for the ending of key bans. An article in Saturday’s Guardian entitled “Foreign firms dash to get in on Iran ‘gold rush’—but US companies left out in cold” pointed out that companies from Asia and Europe were flocking to Tehran to take advantage of what is being mooted as “the world’s last great emerging economy.” American companies, however, have been more wary. Not only are there significant US sanctions, in addition to international ones, to deal with, but Republican candidates in this year’s presidential election are pledging to scrap the nuclear agreement if they win office. Obama is already under fire for failing to immediately implement last Wednesday’s threat to impose new sanctions over Iran’s missile program. A Wall Street Journal editorial last Friday entitled “The Mullahs thank Mr Obama” again lambasted the US administration over the nuclear agreement and its delay in responding to Iran’s missile tests. It also claimed that the firing of rockets from Iranian Revolutionary Guard vessels last week in the Gulf of Hormuz was “a hostile act that could have resulted in American casualties.” In reality, the Iranian vessels issued a warning in advance and the rockets landed over a kilometre away from US navy ships in the narrow strait. The editorial concluded by denouncing the Obama administration and anyone else who put any faith in the nuclear agreement or so-called “moderates” like Rouhani in Tehran. “When will this crowd figure out that Iran’s rulers don’t want better relations with the US? They want to become the dominant power in the Middle East while driving the US out of the region,” it declared. In enunciating the opposition of right-wing layers of the political establishment—Republican and Democrat, the Wall Street Journal is standing reality on its head. US imperialism has no intention of being driven out of the energy-rich region and is determined to remove all obstacles to its regional dominance by any means. While not spelt out, the logic of the editorial in rejecting Obama’s tactic for ensuring American hegemony is a further expansion of the US-led war already underway in Iraq and Syria to also target Iran.